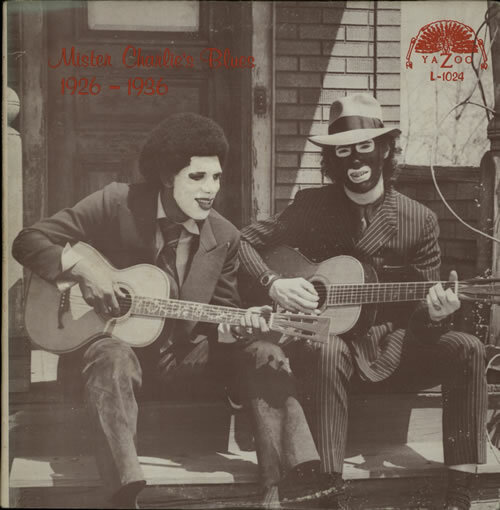 VARIOUS-BLUES & GOSPEL Mister Charlie's Blues 1926-1938 (1970 US 14-track compilation LP, pasted picture sleeve with detailed liner notes on the reverse. Great collection, on esteemed reissue imprint Yazoo, which focuses on the little-known interplay between black blues musicians and white country/hillbilly artists. The sleeve [and what a truly bizarre sleeve it is], shows some signs of age with a little foxing but remains fully intact with all text clearly legible, whilst the vinyl has just the odd light scuff to show for its 45 years L-1024).